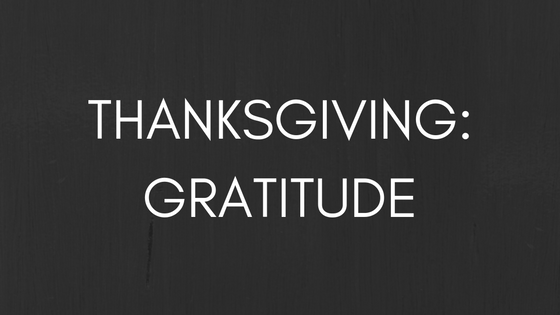 In this post, the Westchester Park Blog is preparing for Thanksgiving by focusing on gratitude. Gratitude can improve your self-esteem, help you get a better night of sleep, and even help you feel happier and more hopeful. You can find more about the benefits of gratitude here, here, and here. This month we have a few ideas to help you express your gratitude to those you care about and to help you make this Thanksgiving one to remember. One way to make Thanksgiving special is to keep a Thanksgiving gratitude countdown. Everyday before the holiday, write a few of the things you are grateful for on a calendar. This will help you remember the people, places, and things that you are thankful for, and, if you hang it up, it will serve as an easy way to remember gratitude all year long. If a calendar isn’t quite your thing, then keep a gratitude journal! Write down the things that you’re grateful for each day of the year to keep the Thanksgiving feeling all year long. You can buy your own gratitude journal at your local bookstore in Manhattan, KS or you can make your own. There are many ways to keep a gratitude journal — on a website, in print, or even through voice recording — just remember to pick a medium that works for you. Writing a letter or note to someone you are grateful for is another way to celebrate gratitude and Thanksgiving. Go out of your way to write to someone you haven’t seen in awhile or send a short note to a good friend. Inviting friends over for a “Friendsgiving” before Thanksgiving is another great way to show the people in your life that you care about them. Thanks for reading! What are you grateful for? Let us know in the comments.